Through most of the 20th century, scientists thought that life began with a stupendous chemical fluke, unique in the observable universe. Today, as physicist and astrobiologist Paul Davies of Arizona State University, points out it is fashionable to say that "life is written into the laws of nature – easy to get started and therefore likely to be widespread in the universe. The truth is, nobody has a clue. It could be either extreme, or somewhere in the middle." "If life really does form readily then we might expect it to have started many times over on Earth. There could be alien microbes right here, under our noses. 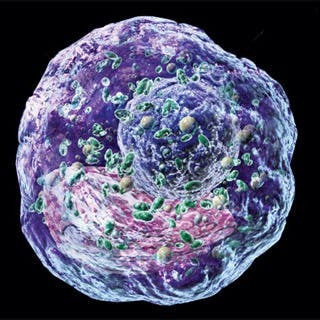 Most life is microbial, and you can't tell just by looking whether a microbe is "our" life or alien. You need to analyze the chemical innards. The search for terrestrial aliens has only just begun. If they are here, they could be identified soon. And the discovery that all life on Earth did not, after all, have a common origin would virtually prove that we are not alone in the universe." From the 'X Files': "ET Technology Could Exist That's Beyond Matter"